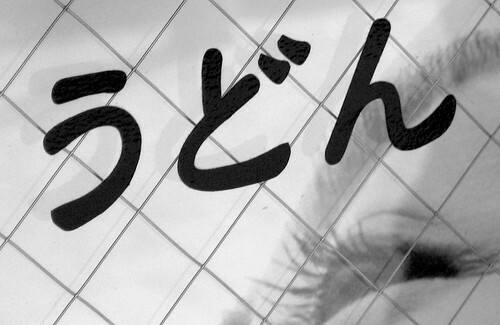 This is a first for LetsJapan.Wordpress.Com I have books, new books on Japan, to recommend (plus a “Bonus Book”). They’re friends’ books, in fact, so besides the treat you’d be giving yourself, you’d be doing me a great favor by checking out what my friends have done. Also, I have a personal connection with each book, even if that connection’s a little tangential. I bet you will, too. . .
1. 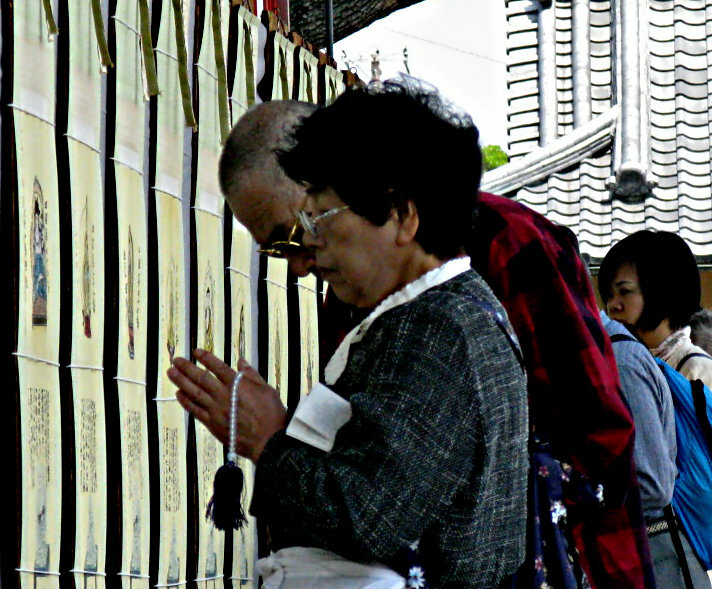 Running the Shikoku Pilgrimage: 900 Miles to Enlightenment. 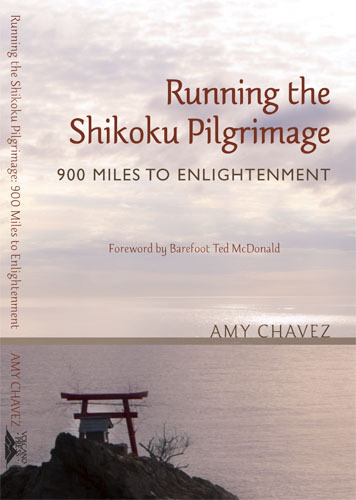 Running the Shikoku Pilgrimage: 900 Miles to Enlightenment, by Amy Chavez. “I had always wanted to do the Shikoku Pilgrimage ever since I heard about it when I first came to Japan in 1994. There are, of course, many ways to do the journey. If you do it on foot, it takes 5-6 weeks to complete. By bicycle, you’ll need about 10 days. You can also visit the temples by bus or car. To cover all 88 temples, it will take at least a week, even by car. Most foreigners are interested in walking it. It’s a great physical challenge as well as an opportunity to feel the countryside and Japan’s ancient culture. You’ll miss a lot of that if you do the pilgrimage by car. . . .” Amy Chavez, in this interview on Femina Intrepida. 1 of 88 Prayers. Toji Temple. May 21, 2008. 2. 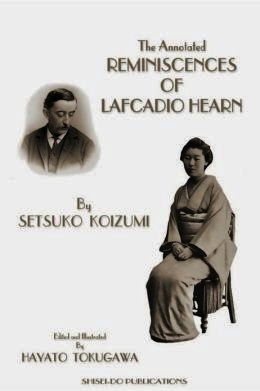 The Annotated Reminiscences of LafCadio Hearn. By (his wife), Setsuko Koizumi. Edited & Illustrated by my friend, Hayato Tokugawa. “There was no one who did more in the late 19th and early 20th centuries than Lafcadio Hearn to bring the inner thoughts and ideals of Japan, its religions, its superstitions, its art, its way of thought, all that animates its people, to the West. He lived in Meiji Era Japan and became one of its citizens, linking East and West, but received no public recognition, no decorations; yet, the world places a crown of laurel upon his head.Todai moto kurashi.”The foot of the beacon is dark.”In Reminiscences of Lafcadio Hearn, Setsuko Koizumi, Mrs. Hearn, has written wonderful, affectionate recollections of her life with Lafcadio Hearn in a book that is simply written, almost naive at times, sometimes funny yet at other times almost tragic, providing insights into herself, her family, and her husband and his wonderful writings on Old Japan.” From The Annotated Reminiscences of LafCadio Hearn. Personal: LafCadio Hearn arrived in Japan in 1890 to begin a new life as a school teacher in Matsue, a town in Southern Japan situated on its western coast, on the Sea of Japan. The first Hearn I read was a slim book of diaries. I read it in 1990, 100 years after Hearn landed, not many months after I landed in Japan and began teaching in a Middle School, not too far from Matsue and Japan’s western coast. I was amazed to find that much of what Hearn had written — impressions and insights about his students, the school system, his life as a teacher, etc. — were things that I could have written 100 years later. 3. Crossing on the Paris. 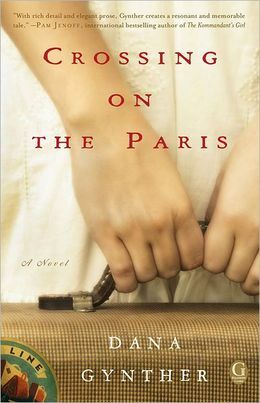 Crossing on the Paris, by Dana Gynther. Being confined to a relatively small space—an ocean liner is an enormous boat, but a boat nonetheless—for almost a week does open a door to many possibilities. While doing research, I found that most people who made crossings back then claimed that time passed differently on board, that days felt like weeks. In this short time span, it was not uncommon for life-long friendships to form, for deep, dark secrets to be revealed to other travelers, for near-strangers to get engaged. In this book, all three women are travelling alone; reaching out to others is part of our very human willingness—or desire—to make friends, to share, to feel connected. Dana Gynther, in this interview. Personal: I mention my personal connection with Dana at the beginning of this section. Beyond that, Dana and I correspond occasionally, reminiscing about days gone by in Tuscaloosa, Alabama, Dana giving me sage writer’s advice as I complete a first-draft manuscript on my Japan adventures over the years, and so on. Moreover, I’m just honored and humbled to know such an incredible writer, one who can put the reader into the scene, into the moment. Very interesting. I have a friend who hiked the Camino de Santiago last year. I’m sending her a link to the Shikoku Pilgrimage book. I think she’ll enjoy it. As for “Crossing on the Paris”, it wasn’t only “then” that time passed differently on board. It still does. My longest crossing was ten days, from Kauai to Glacier Bay aboard a 65′ sailboat with ten aboard. It was a remarkable experience. After about three days, the rhythms had taken hold and our world had become so self-contained we were shocked to encounter our first freighter at about day seven. They were French, and wanted to know if we had ice cream. The guys aboard our vessel said ice cream, Non, but <les femmes? Oui! The French were only willing to go one case of wine for us, so no deal was struck. I could have written my own book if the trade had gone through. Well, they weren’t VERY French. Heh, what a great story. Thanks. And yes, by all means, let your friend know about Amy’s book (and the others).